Is your school registered for Outdoor Classroom Day on May 17? Outdoor Classroom Day is a global campaign that celebrates and inspires outdoor learning and play. Schools and classrooms from around the world can get involved by taking lessons outdoors and prioritizing playtime. To register, visit https://outdoorclassroomday.com/. Educators can also find useful resources, lesson ideas, and guidance on making outdoor learning and play a part of every day on the Outdoor Classroom Day website: https://outdoorclassroomday.com/resources/. 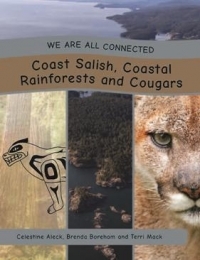 The Nature Detective Series is a set of five books and five activity guides, developed specifically to address learning standards in the BC science curriculum. 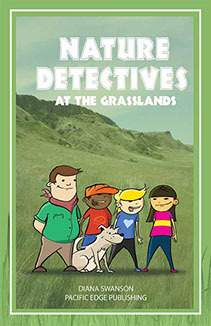 Written by award-winning BC author, Diane Swanson, the Nature Detectives Series tells the stories of groups of adventurous nature detectives as they discover the life in five different ecosystems: west coast rainforest, seashore, wetland, grassland and river. The We Are All Connected series explores how we all live together in a shared balance upon Mother Earth. 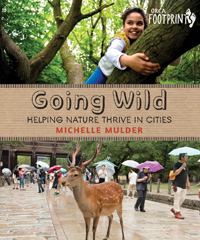 Each book explores a specific ecosystem with a focus on one animal and its adaptations for survival within that ecosystem. Indigenous interviewees, each living within the same area, have responded to strategic questions as to how their community interacts with the land, their traditional territory. Explore each text with a sense of inquiry in mind. Going wild. We don’t see it as a good thing. And why would we? For most of our time on earth, humanity has been running from lions and other wilderness dangers. 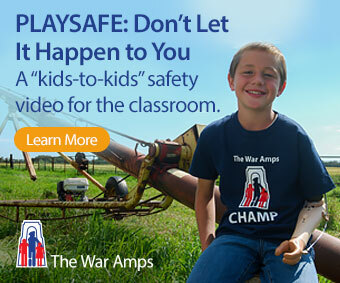 We’ve worked hard to make our local landscapes as safe and convenient as possible. Sometimes that’s meant paving over areas that might burst into weeds. Other times, we’ve dammed rivers for electricity or irrigation. But now pollution, climate change and disruptions to the water cycle are affecting the world in ways we never anticipated. What if the new key to making our lives safer (and even healthier) is to allow the wilderness back into our cities? 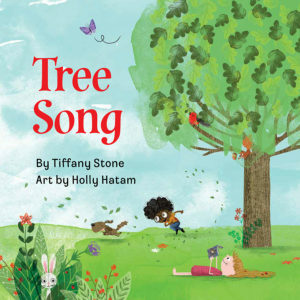 This joyful book follows the life cycle of a tree as it grows from seedling to mature tree, and finally gives way to a new sapling. At every stage of the tree’s life, children are seen playing under its branches. Colorful illustrations will capture the attention of young readers, while the lyrical text makes this an ideal read-aloud book. It can also serve as the perfect introduction to nature’s life cycles.